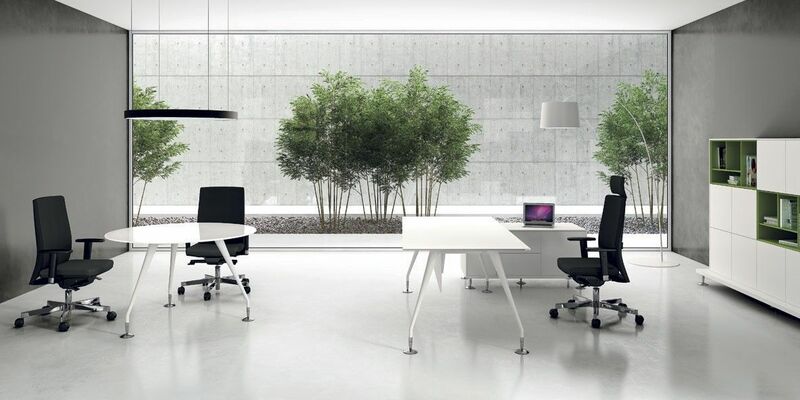 White Executive Office Desks ENOSI EVO. White Finish Executive Office Desks ENOSI EVO. - service unit on adjustable feet 123x60x60. - circular meeting table D.120cm with extra white crystal top.